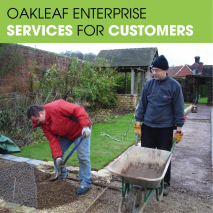 Oakleaf Enterprise is a well established, registered charity based in Guildford, Surrey. 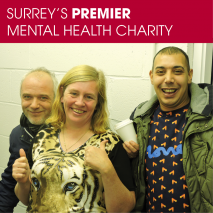 It provides a range of support to adults suffering from, or recovering from, mental Illness, including vocational training, social inclusion activities and counselling. 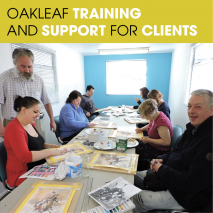 For the many people who attend Oakleaf’s activities, the charity provides essential support in their road back into society and employment. Working closely with the CEO, the existing Trustees have worked hard to put Oakleaf Enterprise on a solid footing both in terms of governance & financial stability. The next phase of the charity’s development is to build on the already successful social enterprise & find innovate ways to increase revenues & provide valuable services to our clients. We are looking for two individuals who are willing to devote the time & attention required to build on Oakleaf Enterprise’s success & take it to the next level. There is a significant contribution by Trustees between Board meetings in terms of sub group meetings & reviewing materials, so the successful applicants will need to be willing to contribute outside of the Board meetings. We do appreciate that this is a volunteering position & available time will change depending on personal & work commitments. Oakleaf’s current Treasurer is due to retire in December 2018 and the Chair in March 2019 and we are looking to appoint replacements by the end of 2018. 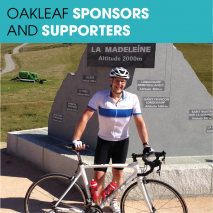 The successful applicants can expect to spend between eight and twelve hours a month on Oakleaf business. The role is unsalaried, but allowable out-of-pocket expenses will be reimbursed. If you wish to apply or discuss any aspects of these roles please contact Paul Charlesworth.